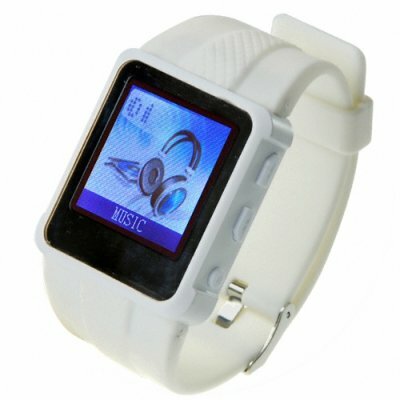 Successfully Added Original Watch MP4 Player 8GB White - 1.5-inch Screen to your Shopping Cart. Digital watch with a 1.5 inch full color video screen and 8GB of flash memory. You can use this beauty to view your favorite videos, listen to MP3 music, look at your favorite digital photos, browse t-text files, or even as a USB style flash drive memory stick. Fully functional digital watch with rich media features. Plays videos in full color on 1.5 inch screen.